accredited counsellors, psychotherapists and coaches. From unshockable understanding, to a little help with your presentation skills… our hand-picked practitioners cover the whole spectrum of self-development. All are accredited counsellors, psychotherapists or coaches. They have a modern, human outlook and provide you with a sounding board to reach your potential - whether in relationships, your self or your work. I am a qualified counsellor (existential-phenomenological) and in the final stage of completing a Doctorate in Counselling Psychology. I am a clinical lead at GP practices, working in a short-term goal oriented way. I also work on a long-term basis in private practice and previously at Mind and Place2Be. I can help with anxiety, depression, stress, relationships, eating disorders, self-harm, obsessions, abuse, loss and health related issues. I take a relational approach, fostering awareness and understanding into yourself and your difficulties. I'm a Life Coach and Counsellor, and have been working with clients for over 15 years. I completed my Diploma in Counselling & Psychotherapy in 2004 and 10 years later, studied at the College of St Mark & St John, where I qualified as a Life and Business Coach. I believe that in order to make and maintain positive changes, we must understand the reasons why we think and behave the way we do. Self development is becoming aware of why things have gone wrong. With this new awareness we can then make new choices, which lead to changes in our life. We can all do this if we're motivated but sometimes we need some support, which is where I can help. I am an anxiety coach, counsellor and best-selling author of the book Anxiety: Panicking about Panic – a powerful self-help guide for those who suffer from an anxiety or panic disorder. I have a postgraduate diploma in counselling, as well as an MSc in Counselling Psychology. Before this, I studied to an ABC level 4 equivalent in counselling in order to set up my unique practice. I personally tailor my approach so that it is best suited to the client. I am a past sufferer of generalised anxiety and panic disorder myself and have made it my life's work to help people successfully overcome the condition – just like I did. These are all inner abilities that can be developed. You can improve your mental wellness with a proactive approach – just like going to the gym. Therapy: How does it work? We have two minds: one that thinks and one that feels. We see this when, for example, we say we’re over our ex, as our eyes well up with tears. 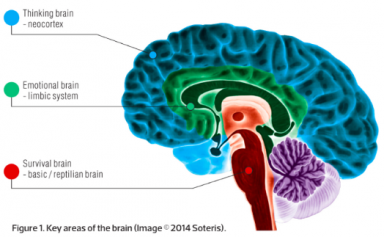 The instinctive “brainstem” develops first: it regulates basic functions like breathing. Next comes the emotional centre: it learns and remembers. Then the thinking, rational brain develops – this part let’s us use logic, plan, and have thoughts about our feelings. Culture and civilisation come from our thinking brain. Our thinking brain and emotional brain are strongly connected. Studies of patients with damaged emotional centres show flawed decision-making despite a stable IQ – feelings are necessary for rational decisions. They need to work together harmoniously. Crucially, emotional memories and reactions can bypass the thinking brain and form without any conscious thought at all. Emotional memories imprint the strongest. They can affect our reactions in the future. Many are formed in the first few years of life. This is when the thinking brain is not fully developed but the emotional centre is close to formed. In this way, life’s earliest experiences form potent blueprints. Our individual blueprints – from birth through all our experiences in life – are explored in therapy. Really, therapy is just talking – but using skilful techniques it uncovers our emotional memories and our patterns of thinking. In doing so we grow aware of their influence and – ultimately – can choose to take charge of them. Which is right for me - counselling or coaching? Extensive regulation and training (a minimum of 450 hours over three or more years) and study in human thinking and emotions, followed by training under close supervision. Training varies: Coaches must do many hours of coaching before being eligible to register with the different coaching associations. Unregulated at present. What kind of counselling does The Circle Line offer? Our therapists are trained in a wide range of approaches. All have a Certificate/Diploma/Degree in one (or more) NICE recommended therapy for adults. The most common are integrated, psychodynamic, person-centred, psychoanalytic and cognitive behavioural. You can read more about the different approaches here. Our questionnaire will help you find the right therapist for you. However, we think you are the best judge of who you want to work with. We believe the precise therapy model is not something to worry about in advance, and many therapists integrate a range of approaches. Ultimately, you know best what you want, who you feel comfortable working with and who you feel will get the best from you. Many studies have shown that it does. 28% of the British population has talked to a therapist at some point. Therapy is not new. “Talking cures” have been around for decades (even centuries, depending how you look at it). Since 1900 modern techniques have been empirically developed and therapy continues to be increasingly popular. This is totally up to you and want you want and expect to achieve. Some people are looking to do some short term work, some are committed to a longer, deeper process. We would recommend having a series of at least 6 sessions with the same practitioner as a minimum. Ultimately, it’s up to you. Yep. We’ll match you with 3 people that our matching technology suggests are suitable for you. You can change to any of them if you feel the sessions aren’t working for you for whatever reason. You can also change your answers to the questions to get new suggested practitioners. Only if you cancel your session with at least one week’s notice in advance. Once you’ve booked your session your practitioner will commit to that session and keep their time free. Therefore we feel it fair to honour their time and commitment.